Join The Women’s Resource Centre at this London-focused event to explore feminism’s role in civil society and tackling violence against women and girls. GAPS, Women for Women International, Saferworld, Amnesty UK and Womankind Worldwide are conducting a research study titled “Beyond Consultations” looking at what constitutes meaningful participation/engagement with women human rights defenders and organisations, and how ongoing dialogues and one-off consultations can be done in fragile and conflict-affected states. The project will produce toolkits for meaningful consultation and analysis. We are really interested in your help to support a call for evidence of good practice examples where meaningful participation and consultations with women in FCAS has been done well and resulted in positive outcomes for the community. 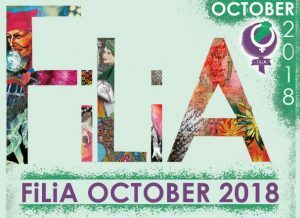 Please share examples of toolkits, guidance, frameworks, approaches or any other resources that governments, donors and INGOs in FCAS have used to listen to or meaningful connect with women they seek to support through their policy and advocacy work by Friday 31 August. Please contact Frances (frances@paperboat.org.uk) if you would like to speak to anyone in more detail about the research or if you have more valuable insights to share and would like to be more involved in the project. You are invited to a practical session to learn about and use the revised Inter-Agency Standing Committee (IASC) Gender with Age Marker which will be facilitated by a trainer from GenCap at Plan International UK offices. Please email Keren Simons (keren.simons@plan-uk.org) to register for either of the following sessions on Monday 6 August 2018: Session 1, 09:30-12:30; Session 2, 14:00-17:00. 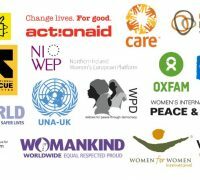 Join the Global Network of Women Peacebuilders (GNWP) survey on sustaining peace in 15 countries: Afghanistan; Bangladesh; Burundi; Canada; Colombia; Liberia; Libya; Mali; Mexico; the Philippines; Sierra Leone; South Sudan; Sweden; Syria; Ukraine. This is a unique opportunity to bring local women’s voices, perspectives and experiences to the global policy discussions and on-the-ground work to achieve Sustainable Peace. Provide your responses by Friday 31 August 2018. Read the written evidence from Amnesty International UK, including on behalf of GAPS, submitted to the Foreign Affairs Committee’s inquiry. Conciliation Resources has launched two reports on the importance of gender inclusion to peacebuilding and how international and national actors can support it effectively. 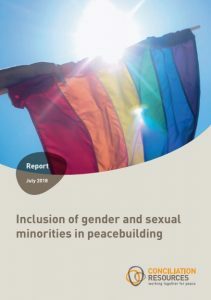 The report “Inclusion of gender and sexual minorities in peacebuilding” draws on case studies from Colombia and Nigeria and explores the barriers to, and benefits of, meaningful participation of gender and sexual minorities in peace processes. The report “Gendered political settlements” explores how gender inclusion is negotiated in elite-led peace processes and political settlements based on the analysis of three contexts: Bougainville, Nepal and Colombia. The Afghanistan Public Policy Research Organisation has published its assessment examining progress toward implementing Afghanistan’s NAP with a focus on the budgeting process for implementation. The July 2018 issue of Gender and Development focuses on information and communications technologies (ICTs) from the perspective of women’s rights and gender justice. 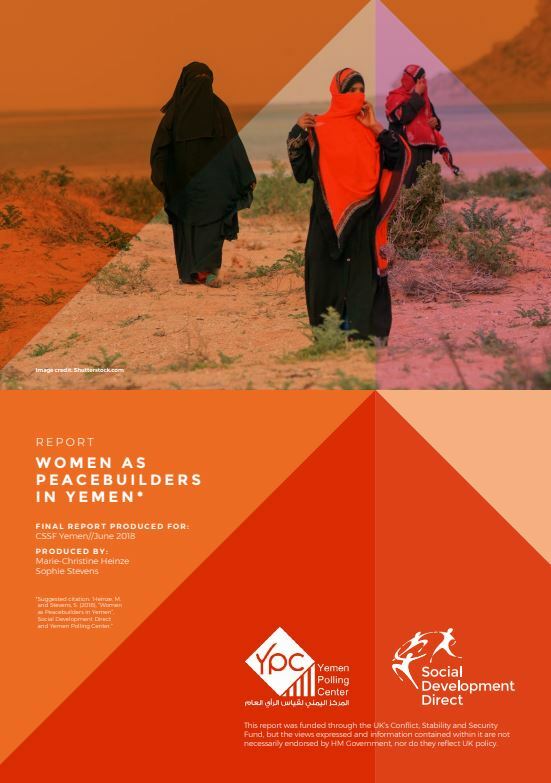 This research on women, conflict and peacebuilding in Yemen sought to build a detailed local picture of how women are affected by conflict and how they are engaging in conflict prevention, peace and stability activities to make recommendations for how external actors can provide support. The research was implemented by Social Development Direct with the Yemen Polling Centre and funded by the UK’s Conflict, Security and Stability Fund.